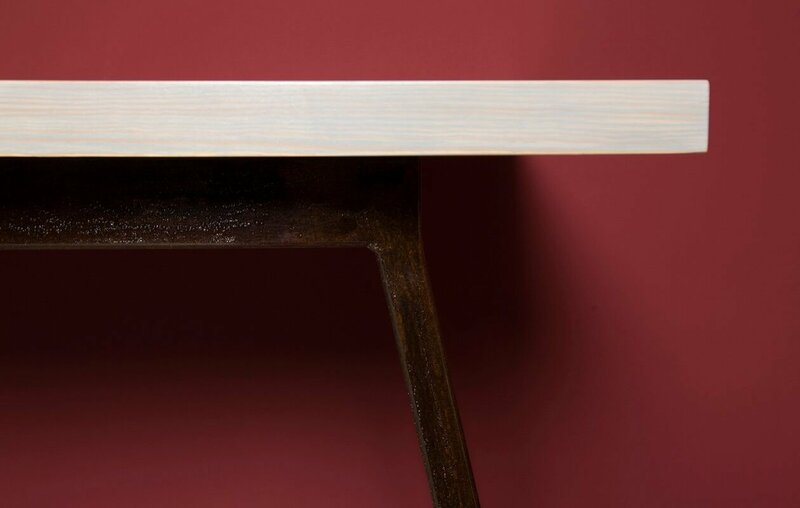 The tapered legs of the natural steel frame and solid 4 cm thick timber plate are the defining characteristics of the VALKENBURG table. 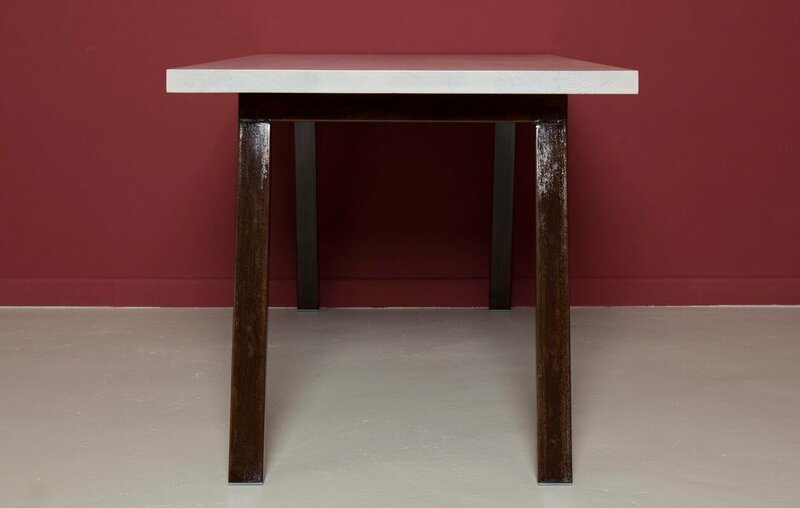 The top of the table is made of recycled pine timber. It is varnished in the colour Pearl Grey and then sealed with organic hard wax oil. The latter cares and protects the wood while bringing out the patina. The natural steel frame consists of rust-sealed 6 cm x 3 cm square steel tubing which is durable and and corrosion resistant. Due to this individual processing of the steel frame, each piece is unique and captivates with its rough industrial charm. As a child’s, or youth’s desk, this puristically designed model integrates a restrained and simultaneously expressive element into a wide variety of interior designs, and can be combined with many different classic chair or bench designs. 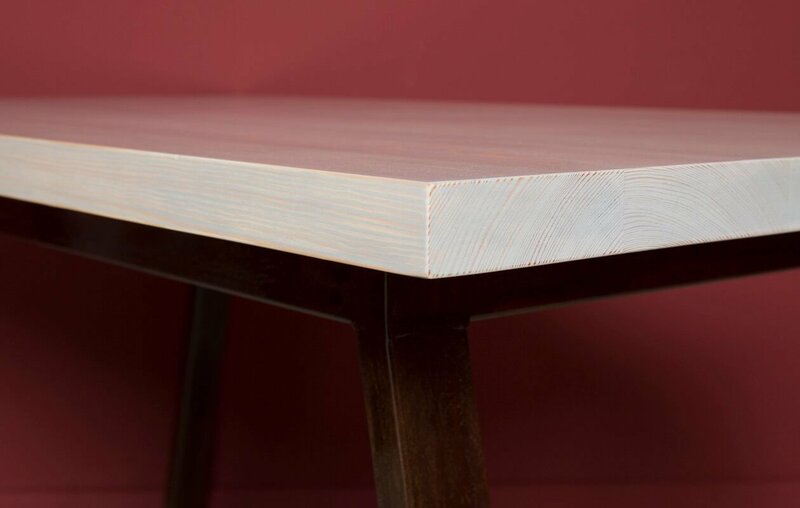 As with all our products, the VALKENBURG Table is manufactured in co-operation with regional producers under most the environmentally friendly conditions possible. Tapered legs. Puristic design. Crafted by hand. The Product is individually customisable, as special requests can be made regarding dimensions and finishes. 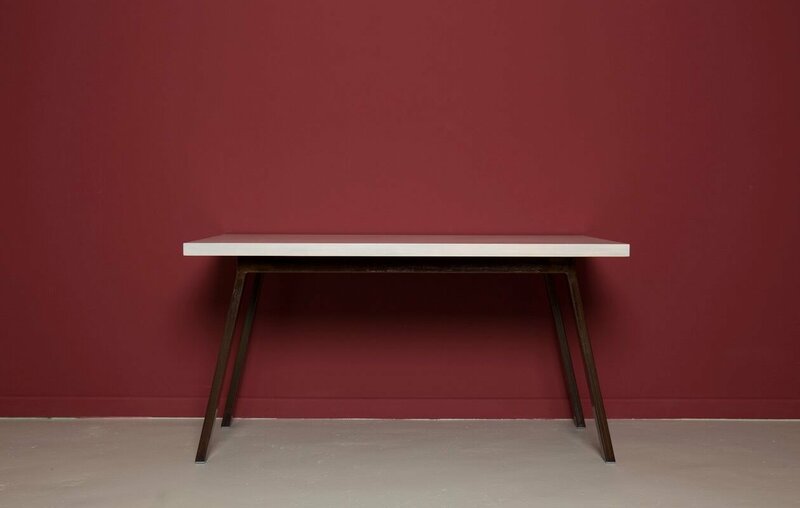 The model shown is 140 cm long, 70 cm wide, 70 cm high and features a natural, rust-sealed steel frame and a delicate Pearl Grey glazed table top. However, any colour in the RAL range as well as other woods can be requested.